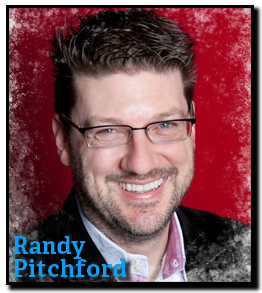 Randy Pitchford is co-founder, owner and President of Gearbox Software. Randy served as Executive Producer and in creative and development capacities in the creation of Gearbox Software's award winning, best-selling original franchises Brothers in Arms and Borderlands. Under Randy's leadership, Gearbox Software has also developed a string of hits with sequels, expansions, and original games for many of the industry's most credible franchises and in 2010 acquired Duke Nukem to add to its stable of properties. 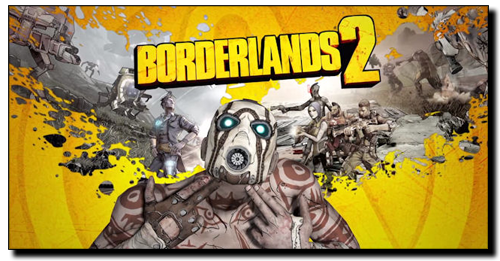 Before the launch of Borderlands 2 on September 18, 2012, Gearbox Software games have sold over 30 million units earning more than $1 billion in gross revenues. What many do not know is that prior to game development, Randy was a professional magician. In his forthcoming 2013 D.I.C.E. Summit session titled “Video Games Are Magic,” Randy will explore how the lessons of magical performance apply to our industry. Along the way, he'll demonstrate and expose specific techniques, methods and ideas from magic that illustrate how the art of illusion has a lot in common with the art of interactive entertainment and leave his audience with tools that are useful and applicable from the executive level to the design level of our craft. I know this sounds like self-promotion, but I am completely engaged with Borderlands 2 to the exclusion of all other games. My family and I are having the most incredible fun playing cooperatively together. It's been a rare experience in my career to work so hard on a game and have such a desire to keep playing when it's finished, but Borderlands has done that to me two times in a row now. What an incredible discovery we've made with this design! I'm excited that it's found such a strong audience so that we get to keep iterating on it. I'm looking forward to the other blockbusters of the 2012 holiday season like everyone else, but there is a lesser known game I want to call out. Ni no Kuni: Wrath of the White Witch is a Level 5 production in collaboration with Studio Ghibli and it is easily my most anticipated upcoming title. I haven't played much of the game yet - just a few minutes here and there at trade shows - but there is something about the world and the style that has me excited and eager to get lost in it. I suppose one can no longer call this niche given the success of League of Legends, but I was very impressed with how Defense of the Ancients evolved from Warcraft III. The evolution of DotA from Warcraft III reminds me of the emergence of games like Team Fortress and Counter-Strike from modifications to Quake. There is a tremendous body of literature that has impacted me, but for the biggest impact I am compelled to credit Jane Austin. She was a master of storytelling, character believability and imagining twists that are simultaneously completely surprising but also the most plausible answer to the plot's puzzle and tension before the reveal. For some reason, the back drop of warfare digs at me the most. In war, the stakes are highest and total - life and death. 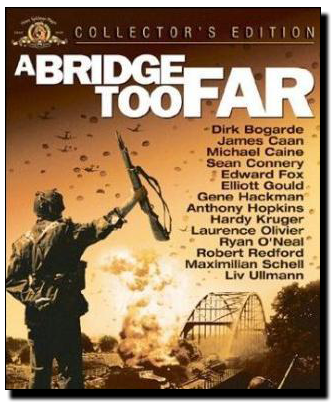 Within this genre are historically based classics like A Bridge Too Far, more modern fictional takes including Saving Private Ryan and even science fiction like Jim Cameron's influential Aliens sequel to Ridley Scott's original film Alien. My play lists are all over the place. I've got a play list for Vegas inspired lounge music. I've got multiple hip-hop play lists, from old-school to modern stuff. I've got a play list that is filled entirely of classical works performed on a solo piano. I've got a classic rock play list and a modern rock play list. I've got six hours of do-wop and three hours of Elvis Presley. I tend to use my mobile devices as momentary amusement machines when I'm waiting for something, such as in-line somewhere or at an airport. If I have a choice, the experiences I can have with PC gaming or games on my home console systems with my home entertainment system are so much more exciting and compelling. That said, I love how mobile devices give me an opportunity to not merely interact but also be entertained when I'm away from my more premium experience setups. What social game has you hooked? It depends upon what you define as "social game". 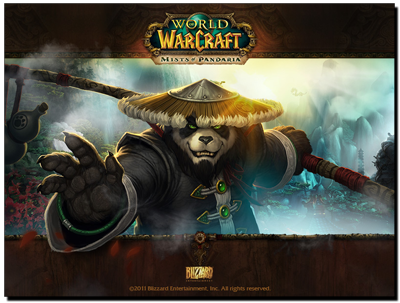 If you define World of Warcraft as a social game (most do not - they define it as an MMO), then I'd go with that - although I confess my interest there has finally begun to wane. The kinds of games that most people define as "social games" haven't yet grabbed me. I'm sure there are some great ones out there, but the games I have experimented with so far have exposed an intent on the part of the creators that is less along the lines of what we wish for from an entertainer and more closely akin to what we expect from, say, a tobacco company. I have four places where I game in my house. My office contains three high-end PC's equipped (I am a notorious technophile and love playing with liquid cooling and over clocking). This setup allows my family and I to play PC games together or in proximity of one another - we spend a lot of time in there. My television room involves a largish LED flat panel and competent surround sound system with big, comfortable chairs and easy access to the kitchen and pantry. I also have a home theater that I designed to look like one of the performance rooms of the Magic Castle in Hollywood. This room is equipped with a 12 foot screen with a projected image and eight channel surround sound. I've got it decked out with three rows of stadium tiered theater seats, automatic curtains and a raised stage so I can use it for film screenings, video game playing or live performances. The fourth place where I play games in my home is my bed where I tend to play some Nintendo 3DS or Sony Vita games before falling asleep every night. Since I cannot answer this question sincerely without breaking NDA, I'll bend the rules of your question a bit and call out my 4G WiFi Hotspot. High speed internet everywhere is something I just cannot live without. All we need now is for wireless power to become ubiquitous and I'll be set!